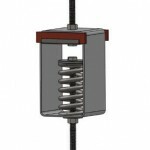 Heavy duty spring and rubber anti-vibration hangers can be used in applications with increased total weight and limited hanging points. 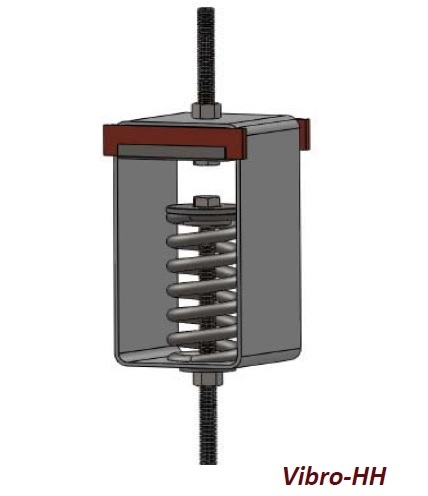 In those applications, a heavy duty anti-vibration hanger needs to be used in order to be able to sustain the increased weight, while acting as an adequate spring vibration isolator. That offers a low natural frequency and an increased vibration isolation. The frame of Vibro-HH is made from galvanized metal sheet or metal with painted finish. 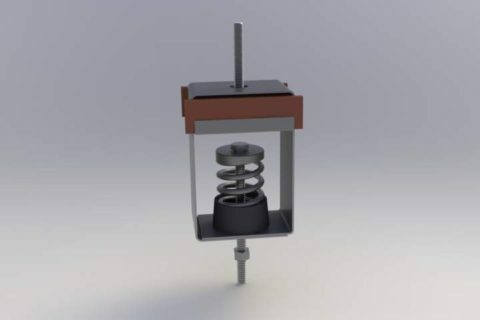 The Suspension Screw/rod can vary depending on the project requirements and is not included in the product. the trademark Regufoam Vibration Plus®. 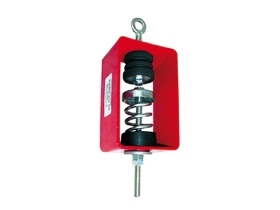 Vibro-HH can be supplied with a pre-loading kit (rubber & metal washer) upon request. Additionally, different types of hanging endings can be used in order to match the exact project requirements.